Why Feed MAAAX LONGfibe Forage Cubes? Grown and produced in Ontario under strict controls, MAAAX™ Equine Feed Products provide consistent quality nutrition all year long. MAAAX™ Equine Feed reduces the risk of respiratory problems. MAAAX™ Equine Feed cubes contain up to 50% more digestible energy than even the best quality hay. Every MAAAX™ bag comes with a guaranteed analysis of nutrient composition. Hay varies flake to flake, bale to bale. MAAAX™ cubes encourage healthy appetites in stressed and fussy horses by increasing available fibre intake. MAAAX™ products are an effective way to monitor feed rations and are easy to handle, store and transport. Horses graze up to 16 hours a day to take up enough forage and meet their chewing requirements. The forage intake should have a daily total of 1.5%-3% of body weight in dry matter including grass, hay, and straw, and of course MAAAX™ LONGfibe™ cubes to secure a complete and healthy ration. The chewing is important to produce enough saliva to buffer gastric acid and hold all digestive fluids in balance. Fiber particle length must be above 3.6cm (1.4 inches) to prolong chewing and to increase saliva production 3-5 liters per kg of material which is needed to prevent gastric ulceration, choking and to maintain physical and mental health. MAAAX™ LONGfibe™ cubes have a minimum length of 4.5cm (1.77inches). Every field is inspected and certified by a third party agronomists. Inspections are mandatory at every step of production including site selection, seed establishment and throughout growth stages. This is where our trade mark iTrack™ Agra system initializes making the forage products electronically traceable for each individual bag back to the field. Horses will not choke on LONGfibe™ forage cubes. MAAAX™ LONGfibe™ forage cubes help the horse to eat slowly and chew intensively. Meanwhile the quantity of saliva that is produced helps the soft MAAAX™ LONGfibe™ forage cubes break apart. No, not at all, MAAAX™ LONGfibe™ Forage cubes are more economical than hay as there are no losses during storage and feeding. 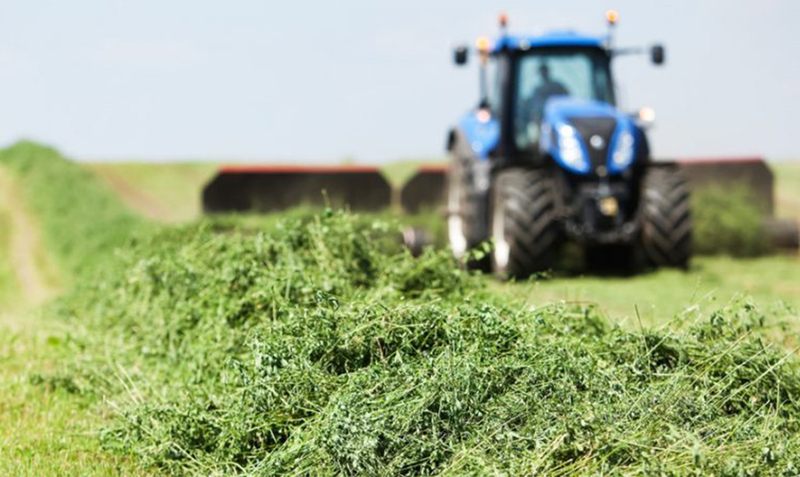 LONGfibe™ forage cubes are a full hay-replacement product offering guaranteed nutritional value to the horse all year round whereas hay prices fluctuate and are not always representative of the quality. LONGfibe™ forage cubes will add the “extra” into the daily ration. 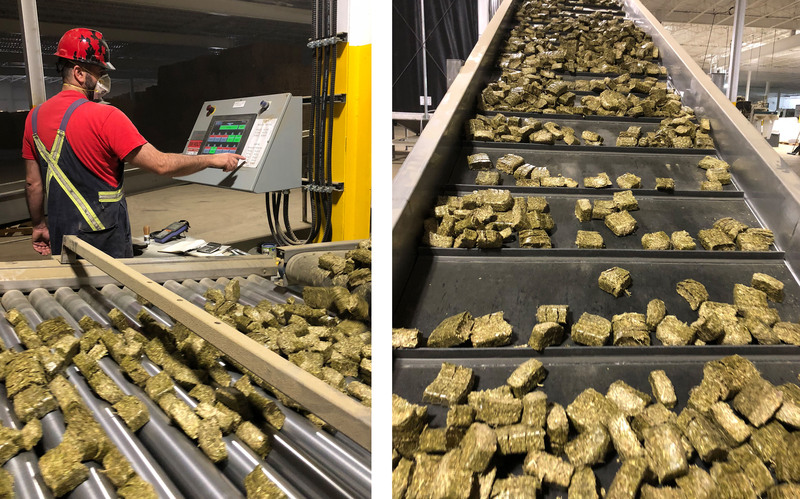 The LONGfibe™ forage cubes are the best quality with quality control starting right in the field through the iTrackAgra™ Seed to Stable™ system. Every bag of MAAAX™ LONGfibe™ forage cubes is always traceable back to the field. Hay quality changes from bale to bale, where it was grown. They may have been produced for a different purpose. MAAAX™ LONGfibe™ forage cubes are made from forage grown, exclusively for equine feed and always maintain consistent quality with its Seed to Stable™ guarantee. LONGfibe™ forage cubes provide highly palatable, digestible protein and carbohydrates to horses without making them “hot”. They are equally suitable for performance horses, old and young. The LONGfibe™ forage cubes are virtually dust free. Horses that suffer from COPD (Chronic Obstructive Pulmonary Disease) or cough will benefit even more from this dust free alternative. Yes indeed, these horses can be fed with LONGfibe™ forage cubes. They are designed to meet the requirements of elderly horses due to the soft texture of the cubes. The LONGfibe™ forage cubes can be fed either as a straight hay-replacement or as a supplement to hay feeding or grazing. LONGfibe™ forage cubes shall not be soaked and can be fed from the ground or trough. Ground feeding is healthier and will keep the horses occupied. Please ensure fresh clean water for your horse at any given time. A LONGfibe™ forage cube is a cube 1 ¼” x 2 ⅞” x 2 ½” in size, containing long alfalfa fiber or alfalfa-timothy fiber and/or a blend of edible oil. Through special production techniques, the LONGfibe™ cube has a unique texture and is much softer than regular cubes for easy feeding. The feeding of LONGfibe™ cubes support chewing and prevents horses from choking.